10am-6pm Fri. 10am-5pm Sat. 10am-4pm Sun. If you love art, gardens and music, you must see Lilyfest. This is the ultimate festival for flower and art lovers. 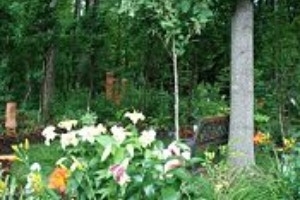 Lilyfest is held annually at the Bishop Educational Gardens and features multiple flower gardens cared for by local gardeners. Lilyfest also features the works of over 70 artists in a juried art show. Meander around the gardens while listening to music on multiple stages.